Hi! Welcome to ETERNAL JOURNEY, the TAFL approved fanlisting for Pharaoh's Memory, the 8th Season of the anime Yu-Gi-Oh! 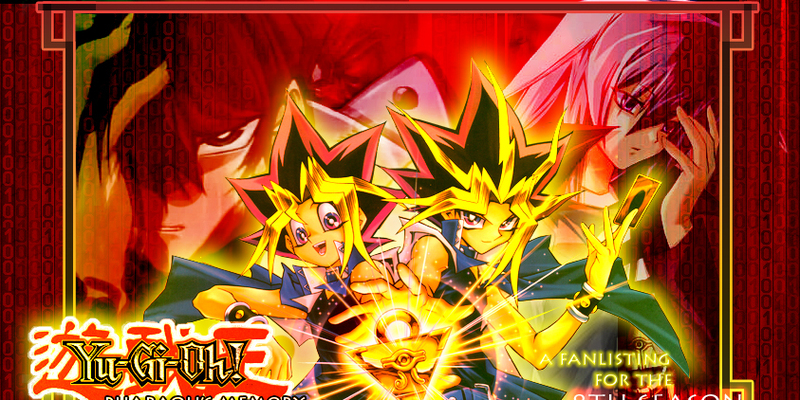 Duel Monsters, created and illustrated by the awesome Takahashi Kazuki! This is the last stage for Yami Yugi's journey and finally he can find his forbidden memories, realizing that he's the Pharaoh Atem! A journey in the past, where we can reveal all the misteries about many characters, especially Kaiba, Bakura and the origin of the game Magic & Wizard/Duel Monsters. Behind anything we see, there is a reason, a bond with our past and a memory for our life, that we won't forget in order to reach the goals that we can call "our reason of life". I consider it the most important part of Yugi's story and even if the ending isn't "close" for all the characters, we can image that all of them will have a brilliant future, because after this adventure, they understood the real meaning of frienship and loyalty, a lesson that Yugi and his past identity Atem will reserve here and in every age, even if their different worlds will be them apart for the rest of their life. Please, choose a link from above to fully access the site, and if you're fan of the 8th season of Yu-G-Oh!, feel free to join its fandom! YU-GI-OH! and related characters are the property of Takahashi Kazuki and Shueisha. This is a fan-site, I don't intend to violate them. Layout and contents are @Dorothy, do not reproduce without permission.